Welp, it’s September y’all! I’m sure for most of you that means the start of fall but around here we’ve got about another month and a half to go #wompwomp. I’m not big on decorating for fall (gasp! I know) but I LOVE the season and cannot wait for it to finally kick in here. So until then, I’ll be living vicariously through you guys and your cool nights, scarves, sweaters and boots, and all things pumpkin spice. Since it’s the beginning of the month, it’s time for my First Week Favorites! 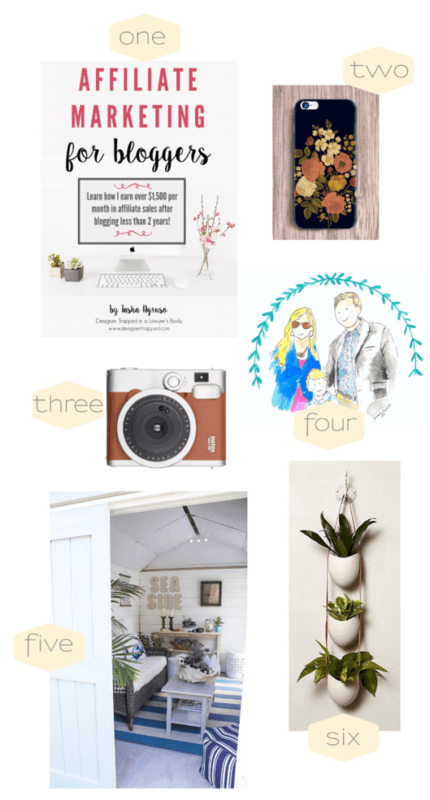 For all you bloggers out there, this brand new ebook by my friend Tasha from Designer Trapped in a Lawyer’s Body is a must-read! 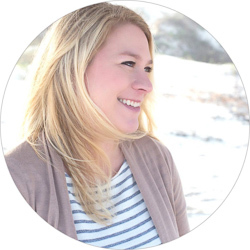 Tasha did such an amazing job de-mystifying the world of affiliate marketing and I’ve personally seen marked changes since implementing some of her tactics. I was so lost and confused by how to apply, what companies were with what network, how to find my links, and how to effectively share those links with my readers, but it’s so much easier than I was making it (as usual). 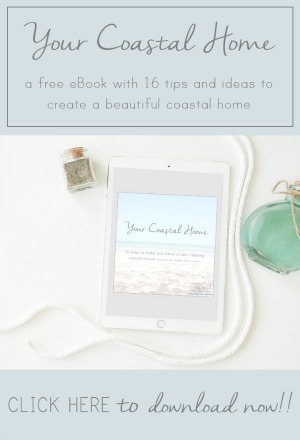 There’s two different options to buy, just the eBook or the advanced bundle which includes the ebook, 2 hours of helpful videos, organizational materials, and access to her FB group for advice. Now through Labor Day, use the code “LAUNCHDEAL” to get $10 off too! While I luuuurve my Nikon D3200, this little guy is pretty badass! The photos it takes look just as cool as it’s retro appearance. All cameras should revert back to that retro look IMO. My girl Carmody from the blog Paper & Fox recently started offering these super cute watercolors and I can’t wait to get one! I love the idea of having her do one of the home pieces as a housewarming gift or to remember that special home of your own. Dude, as if she sheds weren’t cool enough on their own, Home Depot had one of my favorite bloggers, Danielle of Finding Silver Pennies, make her own and she transformed it into a rustic coastal retreat. Seriously, what.a.dream! I’d never leave it. A shed, with planked walls, with white furniture, with a palm tree, and planter boxes. Be still my heart. I’m brewing up plans for our next One Room Challenge starting next month and am getting SO excited for the space we’re gonna do. More on that will be coming up then, but I keep finding the coolest things I want for the space, and think two or three of these guys would look awesome!